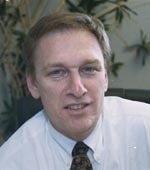 Richard H. Semsker, former partner. Richard H. Semsker practiced for his entire career with Lippman, Semsker & Salb, until his untimely death on October 15, 2007, at the age of 47. Mr. Semsker represented individuals employed in the private sector and in government, as well as small businesses, in employment law issues, including discrimination, wage & hour claims, and employment contracts. He successfully litigated hundreds of cases in the Federal and State courts in the Washington Metropolitan Area, bringing claims against most governmental agencies and many major corporations. In addition to employment litigation, Mr. Semsker spent considerable time counseling and advising individuals and employers regarding severance agreements, employment contracts, agreements not to compete, and general employment questions. A job is one of the most important aspects of an individual’s life. When there is a problem, it is extremely painful and feels all-encompassing — for both the employee and the employer. Mr. Semsker was an extraordinary lawyer because he was so keenly aware of that. He worked closely with his clients and took the time required to fully understand their needs and objectives. Retirement Fund of Fur Manufacturer Indus. v. Getto & Getto, Inc., 714 F.Supp. 651 (S.D.N.Y. 1989).